Joined the Company in 2018 as Chief Executive Officer. 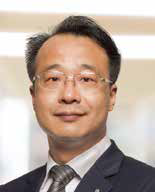 Prior to joining the Company, he was Chief Operating Officer (COO) of Walmart China (2016-2018). He has 41 years of professional career in international retailing of hypermarket and supermarket industries with a full complement of strategic and operational skills. He has developed his career with several key positions within Delhaize Group from Store Manager in 1989 to Director of Operations & Director of Logistics in 2011. He was also the COO of PT. Lion Super Indo (part of Delhaize Group) in 2004-2006, Vice President Buying/Procurement and Logistics in 2012 and President Director in 2012-2016. He is a graduate from Northeast Louisiana University, Monroe, Louisiana, US, majoring in Accounting. Joined the Company in 2017. 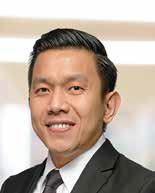 He has 17 years of experience in private equity and corporate space, including 4 years experiences at The Abraaj Group as Director overseeing investments in South East Asia and also 5 years at Northstar Group, a leading private equity firm focusing in South East Asia countries, where he involved in several transactions in various sectors, including several consumer-facing businesses. 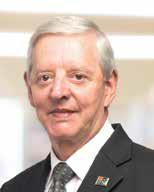 Prior to this, he held various positions at Jardine Group, including Astra International, Jardine Motors Group, Jardine Matheson, and Federal International Finance. He was born in 1979. Joined the Company in March 2015 as Director of Boston Health & Beauty Operations. He has 20 years of experience in the retail industry and a prominent figure in establishing Watsons chain in Asia. Kyutae started his professional career in 1996 as an Assistant Manager and developed his retail skill while contributing to set the first store of Carrefour in Korea. 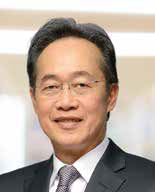 He has assumed several key positions, such as Director of Carrefour and Watsons Korea (2007-2012) and Watsons Indonesia (2012-2015). Joined the Company in April 2008, becoming a Director in 2013. 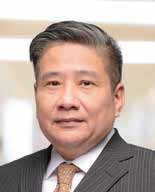 Prior to joining the Company, he served as the Country Human Resources Officer in Citibank N.A. with more than 24 years of experience. Joined the Company in January 2004 as Logistics Advisor. 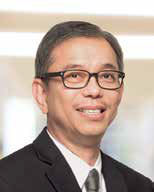 His 36-years professional career has been intensively focused in distribution & logistic aspects with the experience of holding several director positions in TOPS Retail (Malaysia) Sdn Bhd, Daria-Varia Laboratoria Group, Kalbe Farma Group and TNT Logistics Indonesia. Joined the Company as Head of Management Information Systems (MIS) in 1988. He was appointed as Head of Store Operations Supermarket in 1999 and Chief of MIS since 2002. Joined the Company in 1996. 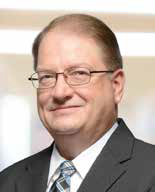 His career in the Company has grown from Senior Manager Investor Relations and Public Relations to the present position. He has been working in this role since 1996. In 2014 he was appointed as Corporate Secretary. 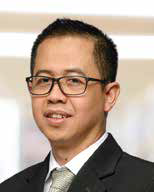 He started his professional career in PT Duta Pertiwi as Treasury Senior Staff (1994-1996). Joined the Company in August 2005 as Store Manager Hypermart. During the year 2006 -2016 he has occupied 4 different positions that are Regional Manager Store Opening, Regional Manager, Vice President Sales Development, and Vice President for Operational and Sales Development where it is increasingly his experience and career in retail, and in the end of year 2014 he served as Associate Director for Operational until beginning 2017, where he served as Hypermart Format Head. Before joining the Company he has 9 years working in retail at Ramayana for 3 years and Carrefour for 6 years with last position as Store Manager.